So while I was out, date nights with the hubs certainly didn’t stop. There was one in particular that stood out among the rest and it was at Si Na Ca Studios off Magnolia in Fort Worth. 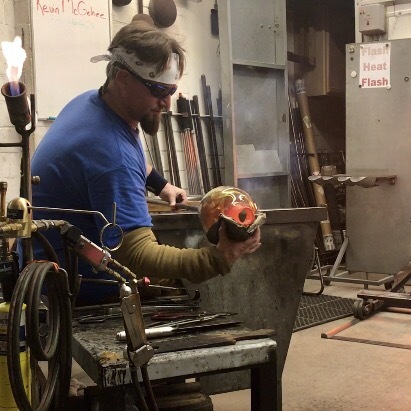 This place is a studio dedicated to glass blowing! 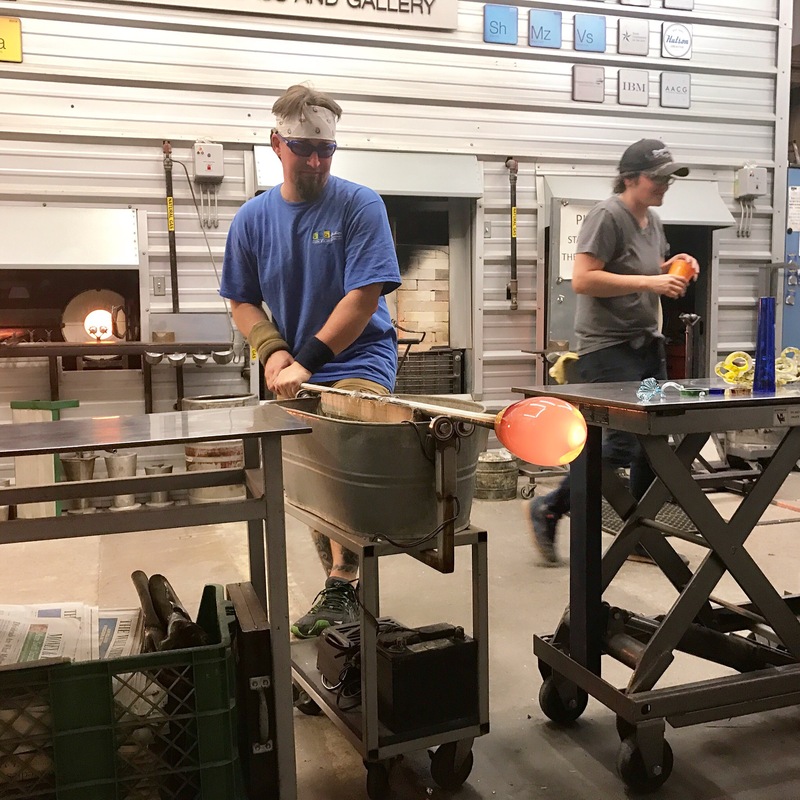 What these awesome guys and gals do is spend their days making beautiful art creations out of all types of glass. Watching them do so is extremely mesmerizing. 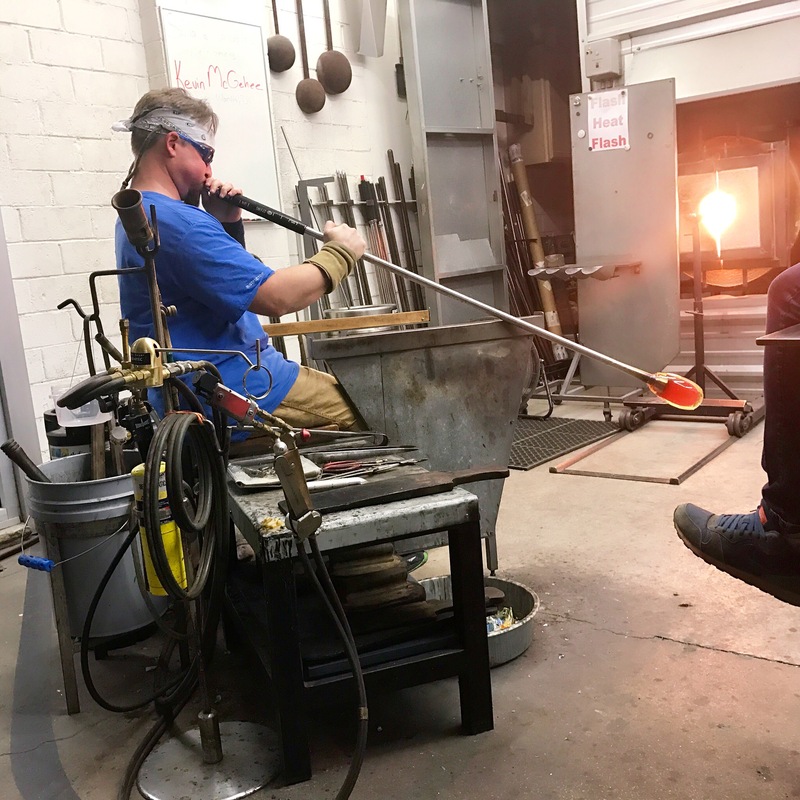 The glass drips off the blow pipes like honey because it’s so hot! They have buckets placed right next to the ovens so that it can catch any of the excess dripping glass. The studio is set up bleacher style. 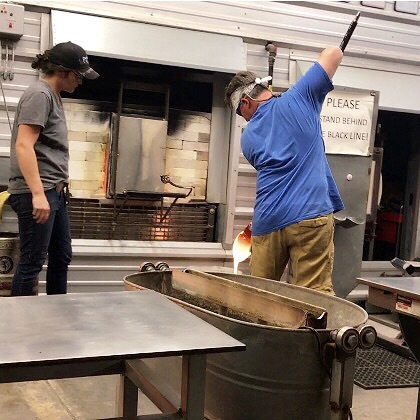 We came during the cooler season and sat in the back because temperatures in those ovens easily get to 2000 plus degrees making for a cozy warm atmosphere. We watched as the guys worked the glass (and when I say worked I mean WORKED). 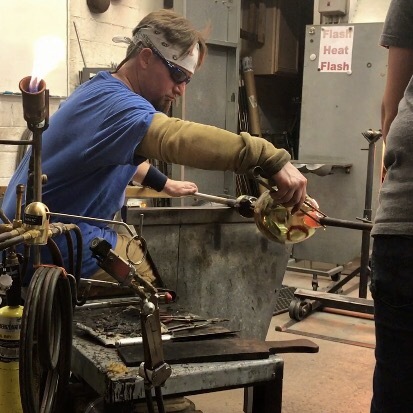 Their forearms have to be so strong because sometimes for an hour they will roll the glass on the blow stick constantly forming it, reforming it and molding it. They also have to try very hard to not over work the glass. 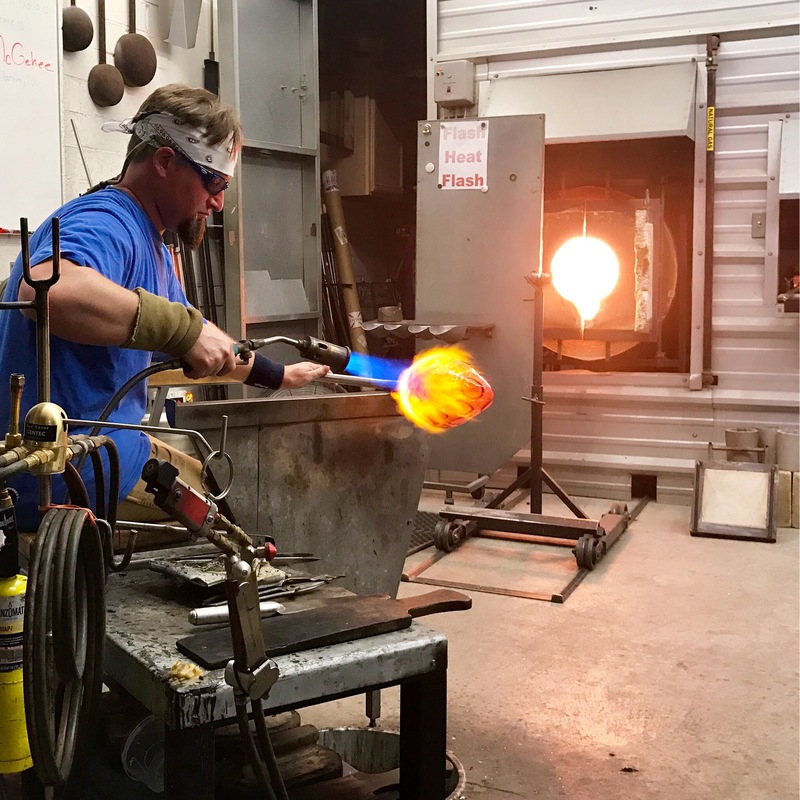 By using anything from blow torches and wads of wet newspaper, they keep the glass pliable to force the shape they need. 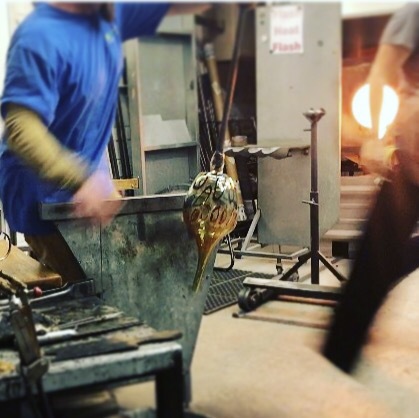 Once the glass has settled at the form they want, the job is still not over. 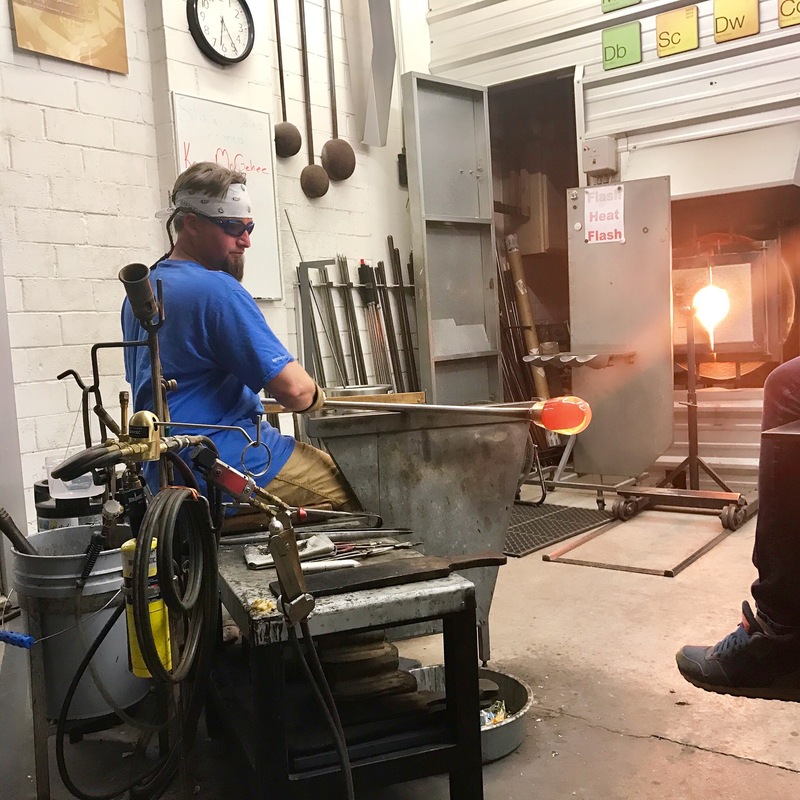 Now the cool down process begins and it is just as important as the glass blowing process. They have to make sure the glass cools evenly and slowly so that 1. It doesn’t break and 2. So it doesn’t misshape.